« All Age Worship with a topical theme! I am one of the Sunday School teachers in Bordeaux. 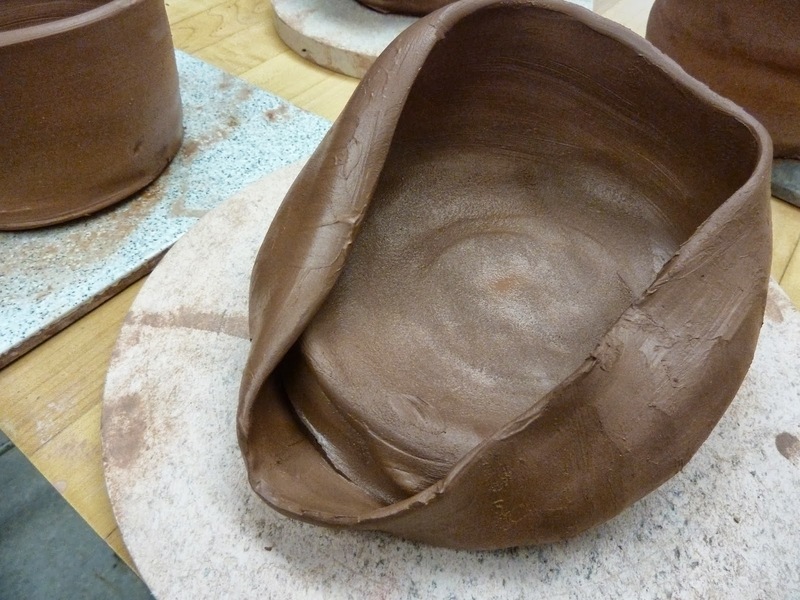 I was very pleased with myself last week week because I had come up with the exciting idea of making clay pots because the reading was about – clay pots. The wind was taken out of my sails somewhat when we came back into the church after Sunday School and all of a sudden, my clay pots started to look really boring because what had Janis used for her sermon for the adults ? A clay pot. Obviously ! I hoped that the collection of clay pots that I brought home with me would dry naturally. By last night, they had’t, so I had to cook them. Slowly. So slowly that I fell asleep, nearly burnt the house down and had only very burnt offerings to bring into church this morning. It did add weight to the lesson of last week. That we are ONLY horrible, burnt, ugly and broken – clay pots* and that it is only the Holy Spirit which is like a candle in a clay pot that can shine out of us, but …. However as lots were left behind in church this morning, I concluded that this week’s teacher, Dan, had come up with a far better idea. 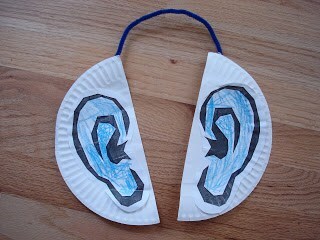 The reading was about Samuel listening and so the children had all made Listening Ears. They were all proudly and happily wearing bands around their heads, crown style, with enormous ears attached to either side. They were a rainbow of brightly coloured Dumbos, Mr Spocks, Big Friendly Giants and Mickey Mouses – Mickey Mice ? How grateful I am to have a Sunday School full of children, but also a solid team of Sunday school workers. We are all parts of the same body …. and if I make a mess one week, I know that I can count on my team members to do better the next. How blessed we are !